Namibia is truly a safari dream, with massive sand dunes, vast and spectacular deserts, a wide variety of unique birds and wildlife that have adapted to survive the harsh conditions, and stunning sunsets! 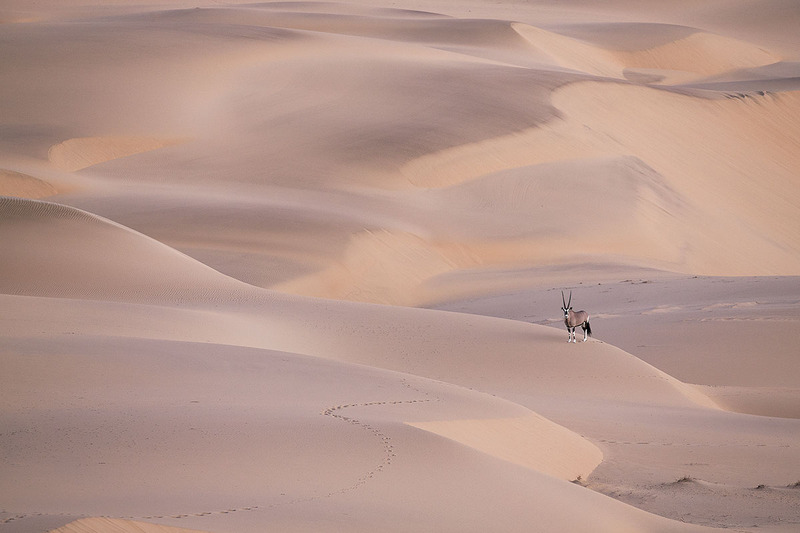 Its vastness is further accentuated by the fact that it is the driest country south of the Sahara, while the coastal region – known as the Skeleton Coast – is one of the world’s most captivating deserts. Seasonally, Etosha National Park offers incredible game viewing and is a must for any Namibia Safari!, when scores of parched herbivores, and the predators that hunt them, congregate at the waterholes to slake their thirsts, resulting in some of the most captivating wildlife viewing imaginable! The combination of the incredible fauna and flora of the region and its scenic splendours provide an unforgettable and holistic “desert” experience. Namibia Wildlife viewing is one of a kind and it is therefore no wonder that ORYX – Worldwide Wildlife Safaris have added this phenomenal country to our portfolio of handpicked destinations. Our Namibia safaris are specifically designed to bring you closer to this desert wonderland! ORYX – Worldwide Wildlife Safaris is proud to present a safari tailor-made to visit Namibia’s most spectacular wilderness areas. Namibia is a country of startling contrasts that straddles two great deserts: the Namib (after which it is named) is the oldest desert on the planet, and its sea of red sand flanks the cold Atlantic coastline, while to the east in Namibia’s interior lies the Kalahari, a vast and sparsely vegetated savanna that sprawls across the border into neighbouring Botswana and South Africa. Desert-adapted Rhino and Elephant live in lonely hillsides and sandy riverbeds of Damaraland and the Kaokoveld, and Cape Fur Seals in their many thousands colonize lonely beachheads along the Skeleton Coast. Astonishing contrasts are everywhere for the visitor to savour and enjoy! 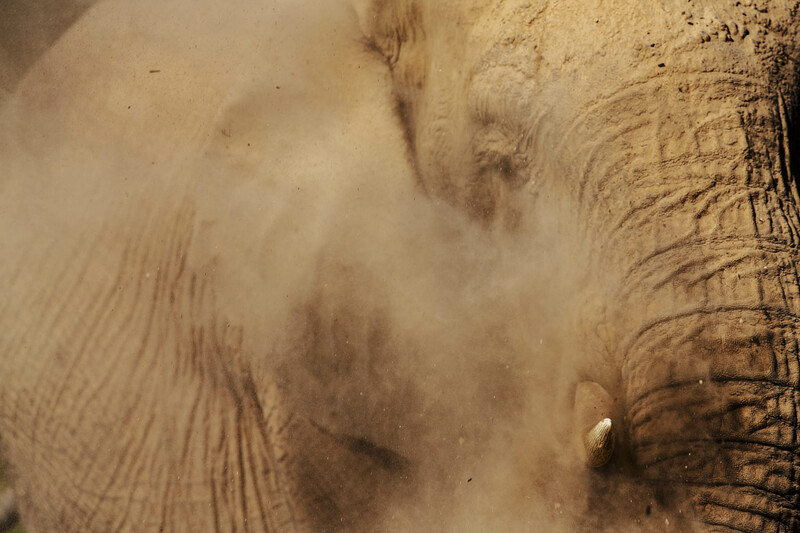 Join us for what promises to be a spectacular journey to desert jewel that is Namibia! Today is an arrival day in Namibia, with your routing taking you to Hosea Kutako International Airport, located just outside the Namibian capital. After landing, and customs and baggage formalities, you will be transferred into Windhoek by a representative of ORYX. You have a single night here, before a short flight the following day to Sossusvlei. Namibia is a remarkable country, famous for the Namib Desert that gives it its name, and the wonderful space, scenery and desert-adapted game that inhabit its valleys, plains and savannas. 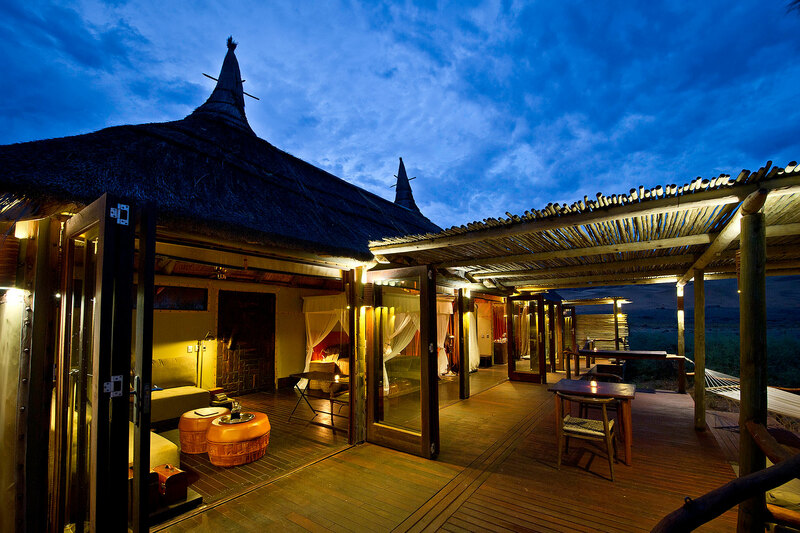 Your accommodations tonight are at a lovely boutique hotel in suburban Windhoek. This morning, at a time to be announced, we will head to Eros Airport, where after check in and boarding we will wing our way to the world famous Sossusvlei. 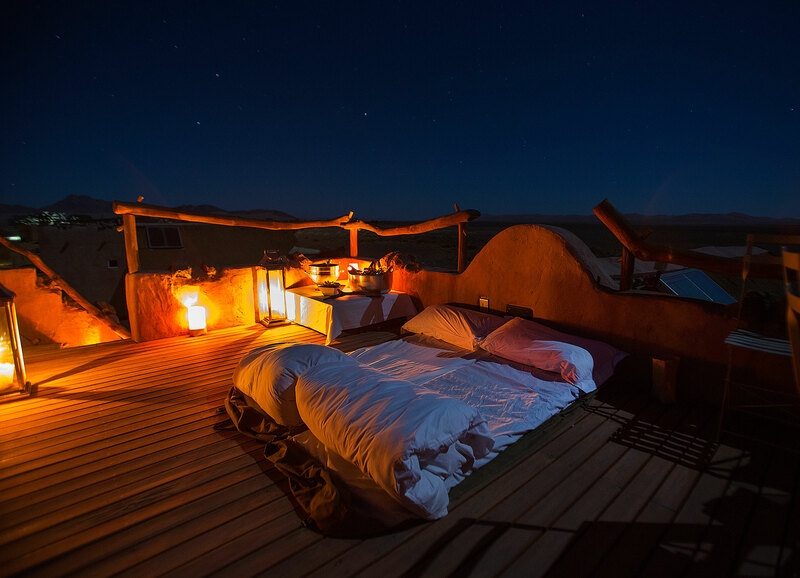 Situated within the arid Namib Desert on the private 37 000ha Kulala Wilderness Reserve, Kulala is the closest lodge to the iconic red dunes of Sossusvlei. 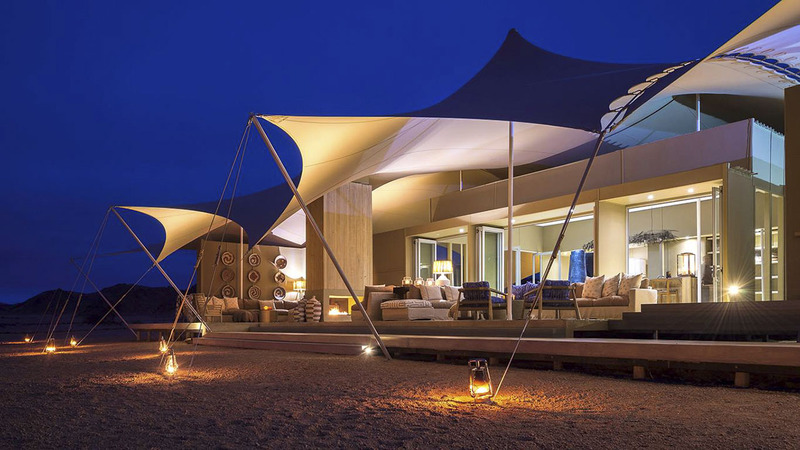 Little Kulala is a luxurious desert retreat situated in the private 37 000-hectare Kulala Wilderness Reserve – the gateway to Namibia’s Sand Sea with its towering dunes and clear starry skies. Activities at Little Kulala start with morning guided drives to the spectacular towering dunes of Sossusvlei, through a private gate into the reserve. Today we have the opportunity to spend an entire morning at leisure in the amazing Sossusvlei area. You will depart early in order to get the best light on the spectacular apricot–coloured Sossusvlei Dunes. World-famous Sossusvlei is an enormous clay pan, flanked by the famous red sand dunes that stand out starkly against the clear blue sky. These dunes have developed over millions of years, the wind continuously transforming the contours of this amazing red sand sea. The ‘vlei’ itself only fills after rare, heavy rainfall when, in a complete turn-around, it becomes a spectacular turquoise lake. Nature drives and walks are also offered on the private reserve, offering incredible views and a chance to catch glimpses of some the desert’s hardy and elusive denizens. Desert-adapted wildlife such as Ostrich, Springbok and Gemsbok (Oryx) can be seen on the reserve, as well as smaller creatures including Bat-eared Fox, Black-backed Jackal and Cape Fox. Another option, at extra cost, is early morning ballooning, beginning at first light. The balloon safari offers a truly unique experience to soar silently above the magnificent sand dunes and desert, with a celebratory champagne breakfast being served at the landing site. After a final morning at Little Kulala, we head onward to Hoanib Skeleton Coast Camp. This camp is scenically located in a broad valley at the confluence of two tributaries of the Hoanib River in the northern part of the private Palmwag Concession. Its location thus straddles the Palmwag area and the iconic Skeleton Coast National Park, in one of the most remote areas of the Kaokoveld. Exclusivity is taken a step further as camp is only accessible by light aircraft and the camp itself consists of only seven twin-bedded tents and one family unit, each comprising stylish en-suite bedrooms with shaded outdoors decks. Flanked to the east and west by rugged hills, the camp looks out over stunning, starkly beautiful scenery and offers guests all the luxuries and amenities for an unforgettable stay. We have two full days to explore this wonderful area, and will be able to access both inland and coastal habitats. Here the landscape is dominated by the form of the Hoanib River, a swathe of sand that meanders through rocky gorges and past arid sandy plains. The transient Hoanib River, more an underground aquifer than river, supports a ribbon of vegetation along its length, this presenting the only visible food source for the herds of desert-adapted species roaming free among these desert ramparts. The riverbed – an ephemeral linear oasis penetrating the depths of the desert – is lined with albida trees, the pods of which form the staple dry season diet of desert-adapted Elephant, Giraffe, Gemsbok and Springbok. Lions spend the heat of the day in Salvadora and Salsola thickets waiting for the cool of night, and Cheetah also roam the area. 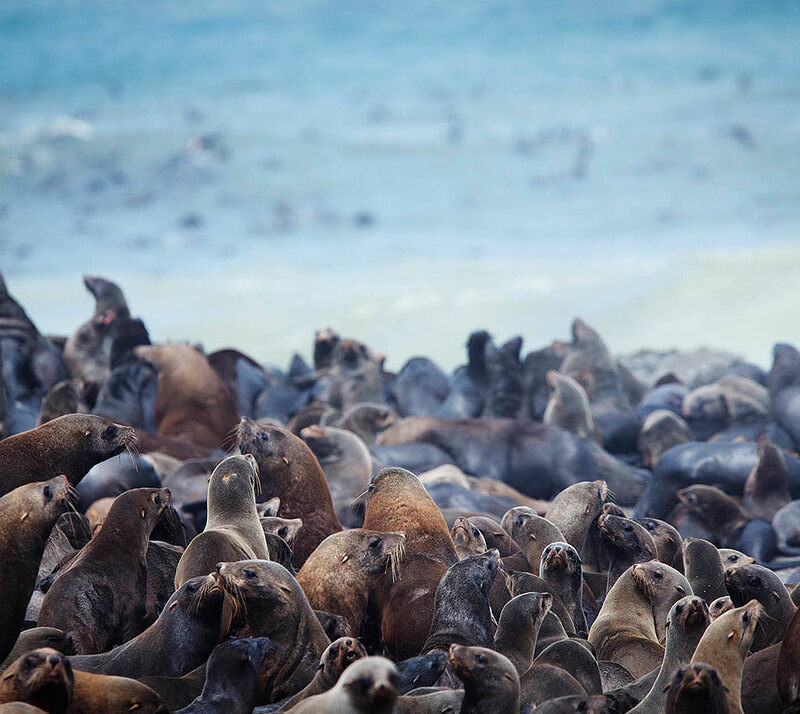 The coastal areas are characterized by fogs that pour off the cold Atlantic Ocean when the hot, desert air meets the cold north-flowing Benguela Current, and it is along the rocky shores those large colonies of Cape Fur Seals can be found. These seals in turn support land-based carnivores, and with luck we may encounter Black-backed Jackal and the scarce Brown Hyaena, which at times scavenge and predate on the seal pups at the colonies. After a fabulous time on the Skeleton Coast, we will fly to Serra Cafema, the climax of our Namibian Safari. Serra Cafema Camp is one of the most remote camps in all of Southern Africa. Inspired by the pioneering spirit of the area and the remote explorer aesthetic, Serra Cafema is an unexpected oasis of luxury and sumptuous spaciousness perched on the Kunene River that forms Namibia’s northernmost border. Situated under large shady albida trees overlooking the dunes and the Kunene River, the camp comprises 8 raised canvas and thatch units each with en-suite bathroom, retractable glass doors and abundant outdoor lounging, dining and shower decks. The ‘Ozonganda’, or public homestead area, comprises indoor and outdoor dining areas, sunken lounge, river bar, library, curio shop and swimming pool. Serra Cafema shares this region with the wonderful and colourful Himba people, who are some of the last true nomadic people in Africa. The Kunene River is the only permanent source of water and creates an oasis along its banks surrounded by rugged mountains and sand dunes. Activities include photographing the breathtaking landscape scenes with Springbok, Ostrich and Gemsbok dotted here and there, traversing the sand dunes in 4×4 Land Rovers, and boating on the Kunene River. Walking in the remote mountains and river valleys is also a highlight. Serra Cafema is often visited by the native Ovahimba families who live in the nearby vicinity, which gives guests the opportunity to learn about their lifestyle and traditions. One of the highlights of Serra Cafema is the carefully guided quad bike excursion, which treads lightly on the dunes and allows guests to undergo a true desert experience. In the extreme and remote north of Namibia, rivers, including the Kunene River that forms the border between Namibia and Angola, cut through mountains of largely folded metamorphic rock. In rainy years, the large Marienfluss and Hartmann’s valleys become grassy expanses, but generally their flat topographies are covered by sand broken only by a few tough grasses, shrubs and mysterious ‘fairy circles’. 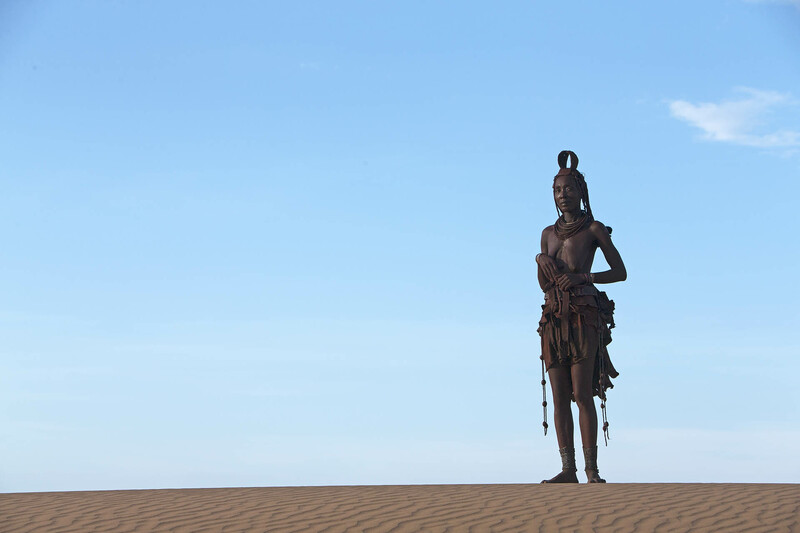 In this isolated region, the Himba people continue their nomadic, traditional way of life. The reliable, yet minimalist source of water here is the famous Namibian fog, which is created when the icy Atlantic water meets the warm air of the Skeleton Coast. This moisture drifts far inland along the river valleys and is eagerly harvested by plants and animals before the sun burns off the remnants. Game viewing in this area is limited to herds of Gemsbok, Springbok and Hartmann’s Mountain Zebra, though the Kunene River also sports a large population of Nile Crocodiles, an anomaly in a desert. Burchell’s Courser and Benguela Long-billed Lark are among the characteristic bird species to be found in here. There are also a number of endemic reptiles, the desert chameleon being a particular specialty. After a final morning of exploring the wonderful Serra Cafema and at a time to be advised we will depart Serra Cafema on scheduled light aircraft (via Dorra Nowas) back to Windhoek. Upon arrival a representative of ORYX will Hosea Kutako International Airport for your flight to your final destination of choice.